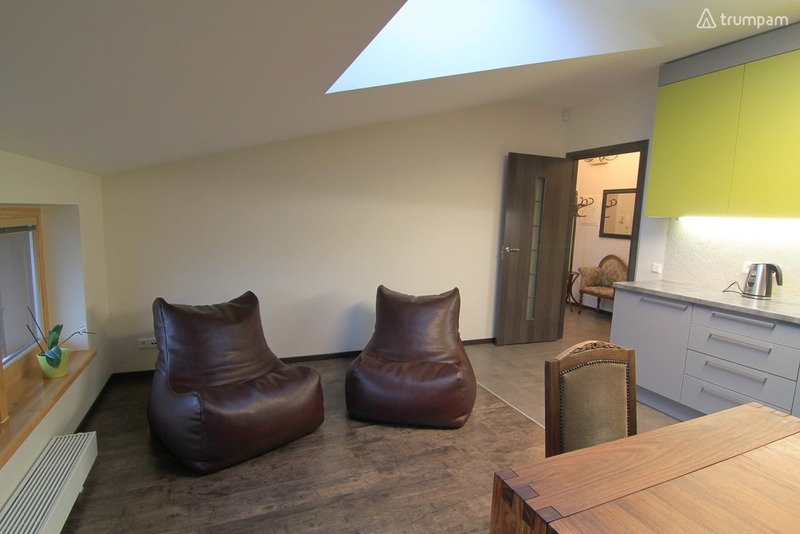 Modern and cosy two bedrooms apartments (82 sq m) on the 2nd floor are located in the heart of Trakai Old Town, near the Peninsular Castle and the old Market Square as well as St John Roadside Pole which is considered to be both one of the most important landmarks of Trakai and the symbol of the town center. In the Karaimu Street stretching nearby you can try dishes of traditional Lithuanian and Karaites cuisine. Through the windows our guests can admire the breathtaking views of Trakai Church of Holy Virgin Mary’sVisit (XVth c.) surrounded by the picturesque Old Town. Soft pastel colors, a spacious living room, comfortable upholstered furniture, natural flowers and paintings all this creates a wonderful atmosphere to make your rest unforgettable. 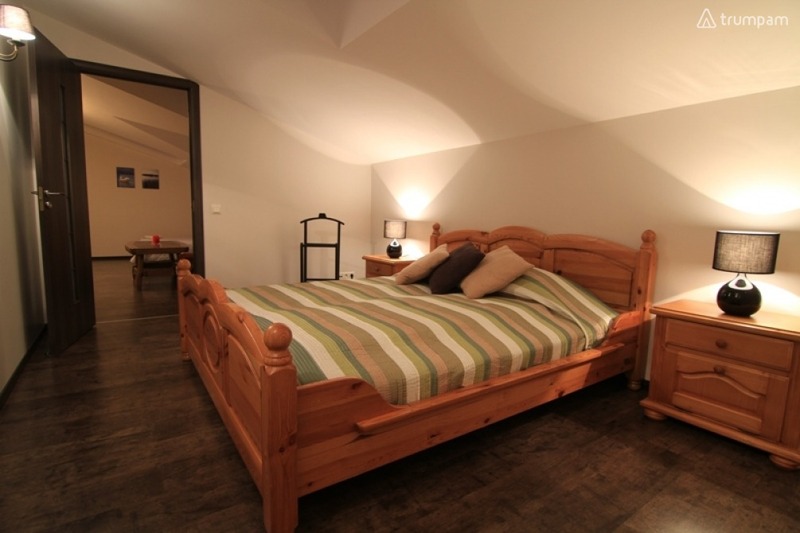 The apartments have 2 separate bedrooms suitable for 4 people. A cot can be placed on request. 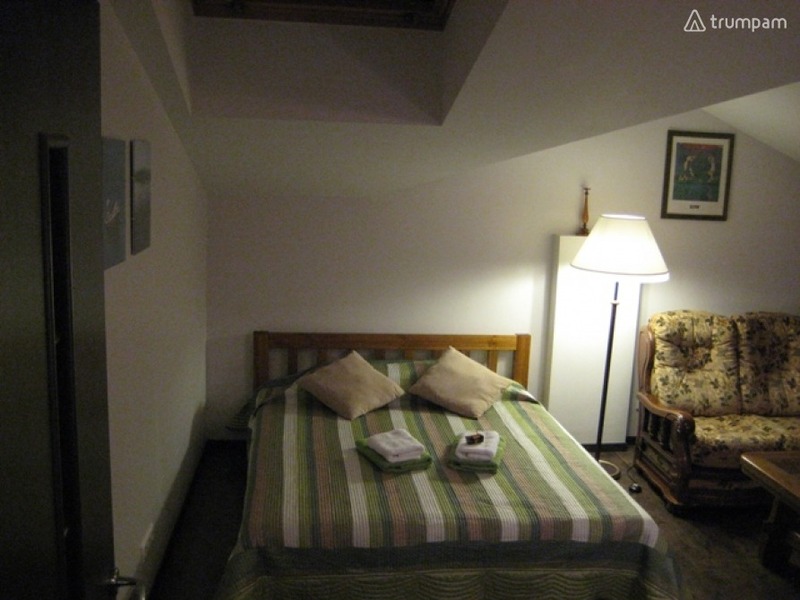 A separate bedroom with a double-bed (sized 180cm x 200cm). 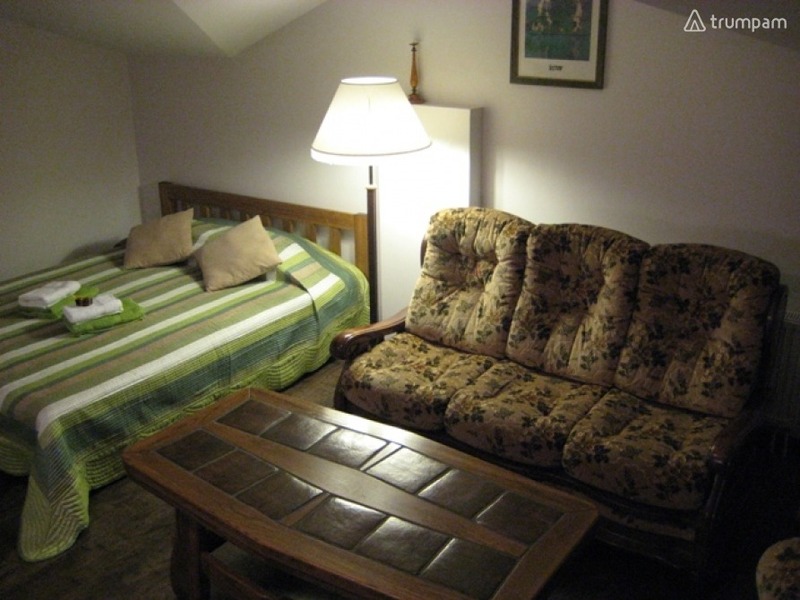 The living room furnished with a double-bed (160x200). 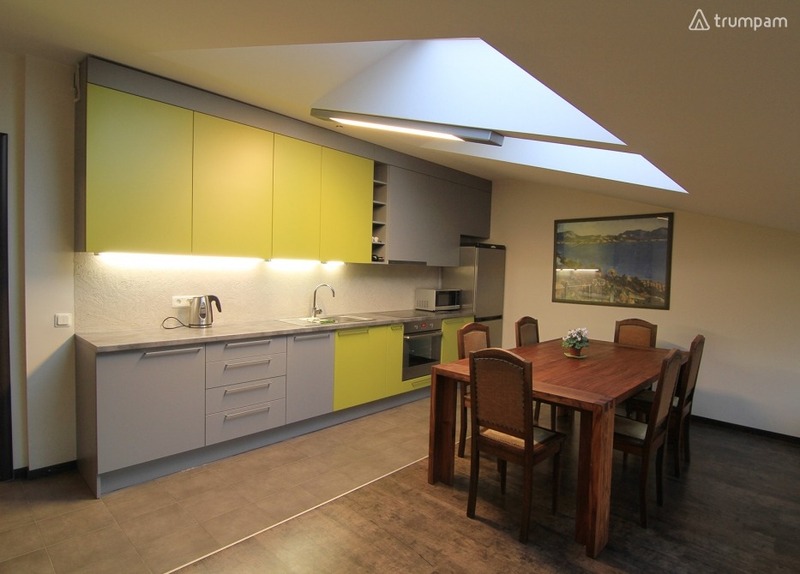 A large kitchen with the dining area is fully equipped with all necessary cooking appliances, crockery and cutlery. A spacious entrance and a hall. Transfer from the airport for an additional fee is available. 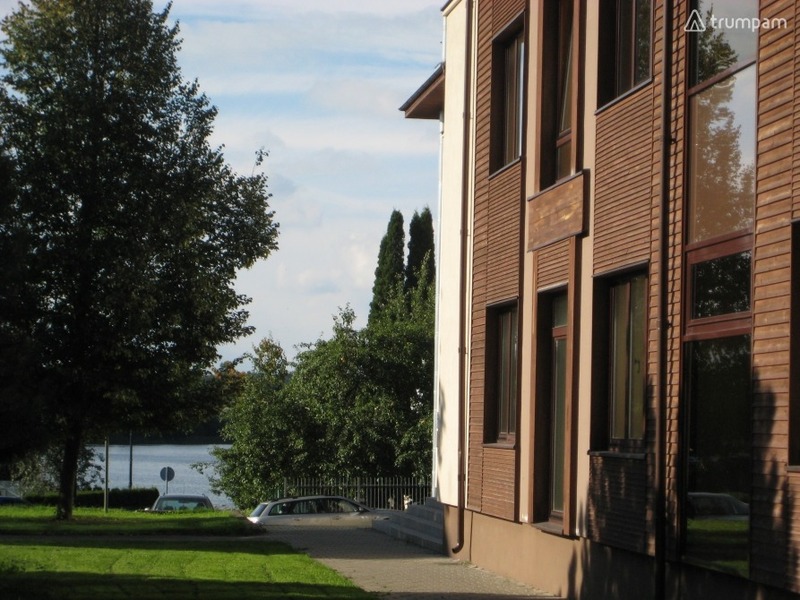 - Trakai Island Castle - 600 m.
- Trakai Historic Museum and Peninsular Castle – 300 m.
- Restaurants, cafes – 100 m.
- Store in the Old Town – 50 m.
- Post office - 100 m.
- Public beach - 100 m.
- Hair & beauty salon on the ground floor of the building. - Bus station- in 20 minutes walking. 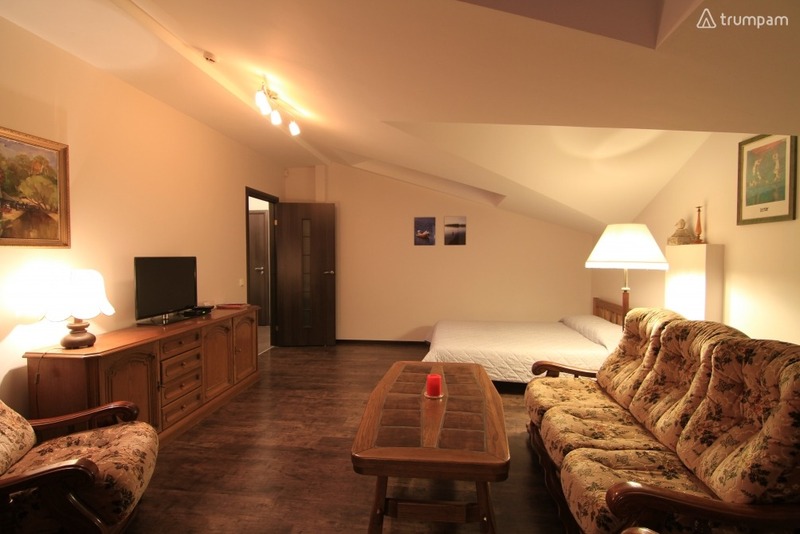 - Have a nice rest in Lukos Apartments! Hi, my name is Erika. 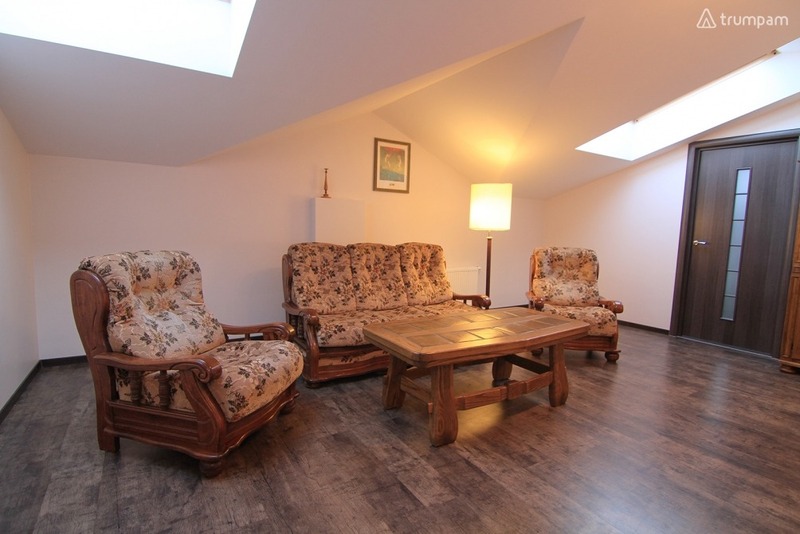 I am the owner of this apartment, and I provide hourly short term accommodation rental service in Trakai. To contact me, choose the most convenient way by giving me a call on the phone number listed below or just send me an email request.